Ready to ransack your enemy’s hidden bounty of treasure? Naughty Dog has today unveiled a new multiplayer trailer for Uncharted 4: A Thief’s End, introducing the Plunder game mode that has players duking it out over, you guessed it, precious loot. 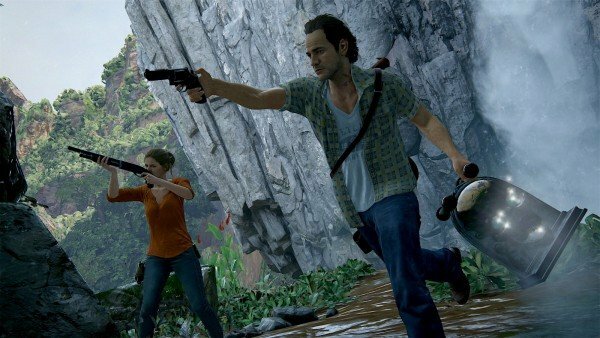 Fans of the Uncharted franchise will no doubt recognize the Capture the Flag-esque slice of multiplayer action, though when it comes to A Thief’s End, Naughty Dog has dialled back the action somewhat, settling on 4v4 setup as opposed to the traditional 5v5. In the trailer above, you’ll get a glimpse of some of Uncharted‘s multiplayer maps, too, featuring the sun-kissed plains of the Island, Madagascar City, along with Rooftops. Those who partook in the recent multiplayer test will be familiar with each arena. Lastly, with PAX East now in full flow in Boston, Naughty Dog also plans to reveal new snippets from Uncharted 4 over the coming days as the long-anticipated sequel nears launch, and we’ll be bringing you all the details right here. Uncharted 4: A Thief’s End is set for release on May 10, when Naughty Dog will bring the curtain down on Nathan Drake’s swashbuckling adventure.